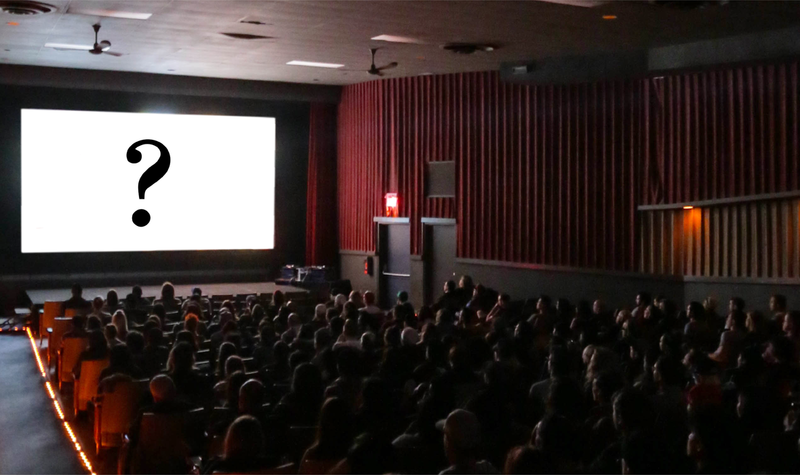 One of the annual traditions at the Calgary Underground Film Festival is a special screening of a highly anticipated film with the title not revealed until the show starts. We've typically done these screenings post-festival exclusively for passholders. Selections over the years have ranged in genre and have included OBVIOUS CHILD, THE OVERNIGHT, SWISS ARMY MAN, IT COMES AT NIGHT and SORRY TO BOTHER YOU. Last year we introduced our first secret screening at the festival with Joel Potrykus' RELAXER. This year, in addition to the exclusive passholder event post festival, we'll be hosting a secret screening on closing night. This event is open to the public, and tickets are available for purchase. Of course, your pass will get you in too. Want to know what film is playing? Too bad, our lips are sealed until showtime. But that's half the fun, isn't it?